Ram debuted an ad at the Super Bowl last night featuring the appropriated words of the Reverend Dr. Martin Luther King Jr. If you haven’t seen it, it was bad and dumb, and has been derided pretty much across the board. But it’s not just the use of King’s words to sell trucks that got it wrong—it’s what the rest of that exact sermon said about car buying, and capitalism itself. 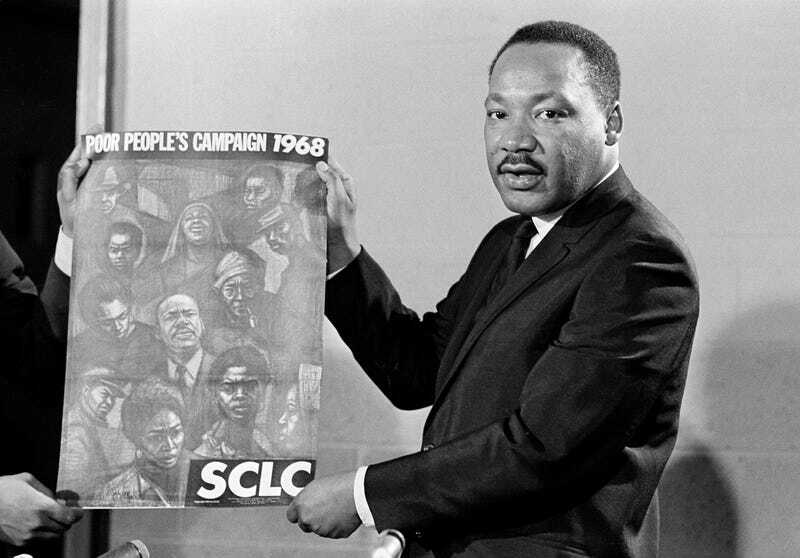 These parts of his legacy get overlooked today—often intentionally—but in addition to civil rights, King staunchly confronted the dual threats of the excesses of capitalism and militarism. King’s point was that people shouldn’t be looking to the newest, best car for fulfillment. It’s okay to have the car you have, to enjoy the car you have. It’s okay to have the life you have. What’s important is what you do with it, and how you help others. Materialistic pride divides humanity, makes you think you’re better than your neighbor. We shouldn’t be worried about having the latest and greatest pickup truck. Pride, greed, and the merchants that sell them are the things that ruin us. How so many have missed King’s legacy is tragic, and it’s something more should learn about. But, here we are, talking about it now. Maybe Ram did something good after all. By being bad.